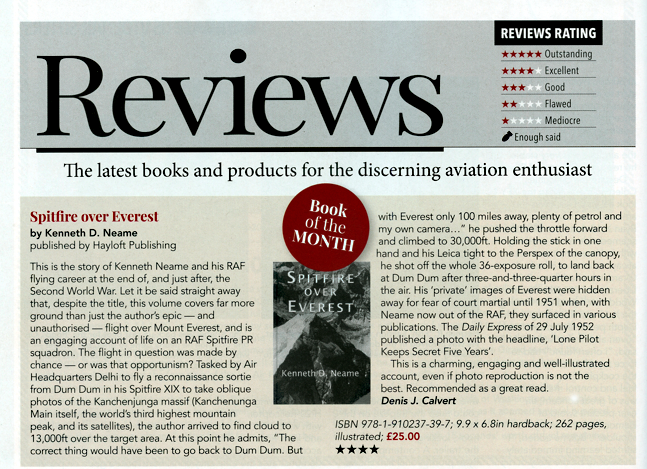 AN outstanding story of coincidence, quick wit, skill, routine, improvisation and seized opportunity as a young RAF pilot flies an iconic Spitfire in an aerial photographic mission over Everest at the end of World War Two. 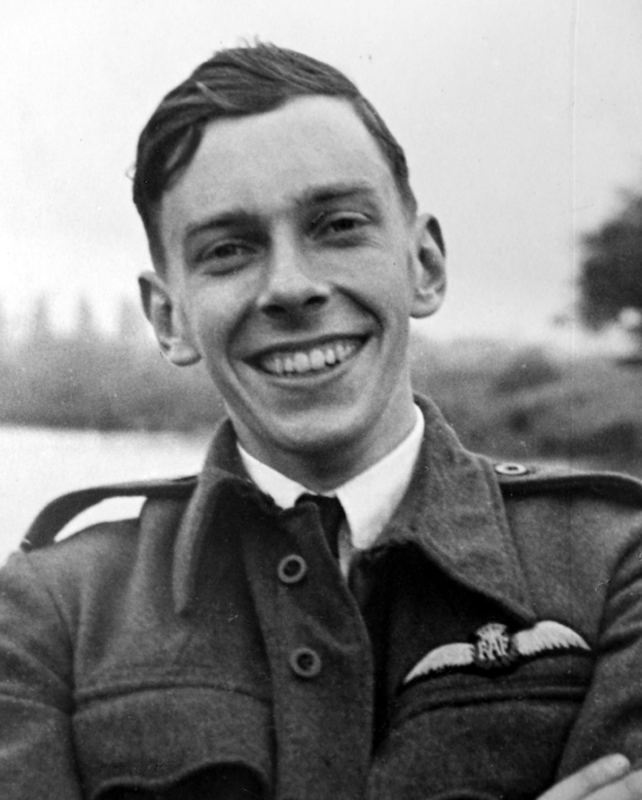 RAF Pilot Officer Neame trained to fly Spitfires for photographic reconnaissance and, after a short time in Germany, was sent to pre-partition India in 1946 to serve in the only photo-reconnaissance squadron in the whole sub-continent. Getting lost and reaching home with just enough fuel for another seven and a half minutes? Flying blind with an unserviceable radio through a monsoon storm? Making an unauthorised sortie into another country to come home with outstanding pictures of the world’s greatest mountains – taken one-handed with the Leica jammed against the hood while the other hand grasped the stick and kept the Spitfire level! Cover image by the author on his photo-reconnaissance flight in 1946: Mt. 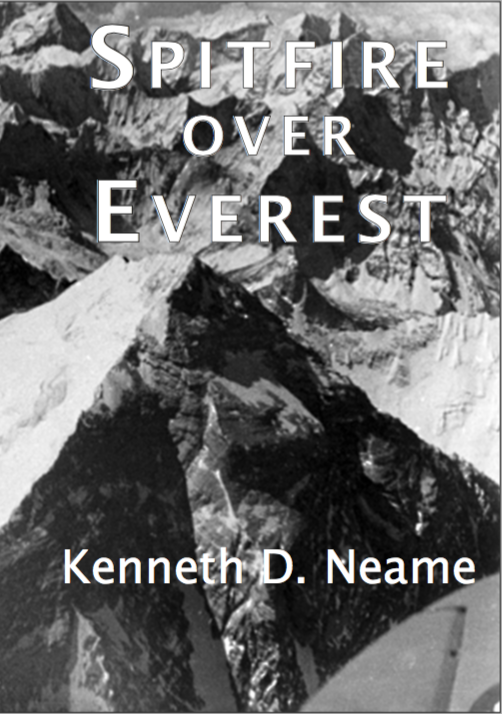 Everest from the North and part of the Spitfire’s wing in the lower right on the front cover.